Beautiful 125cm Upright Piano that features the amazing iQ player piano system & includes a BONUS iPad to control the system. So easy to use & even easier to enjoy! Please visit an authorised dealer to view actual finish samples. The JS125SMD model was specifically designed by Samick for the European market, in consultation with their French distributor. The arm shape has a defined and elegant look. The key lid is stylishly curved out of one continuous piece, not hinge-divided. Additional features include wooden black keys, top grade German Renner hammers, brass castors, improved muffler and softfall systems and a wooden action beam rail with metal reinforcment. The metal provides strength and the wood promotes better sound generation and less extraneous noise than centre rails made entirely of metal. The bridge is solid and capped to improve tuning stability. Capping means an additional piece of wood has been placed on the upper surface of the bridge, providing stronger support for the pins and helping to hold the strings in their proper positions. 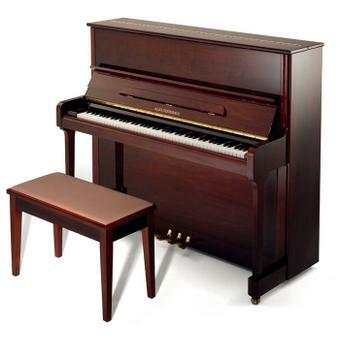 Thus the Récital piano is much easier to tune accurately and will hold its tune for longer. Alex Steinbach iQ Pianos are a unique range of traditional acoustic pianos that hide a very big secret. 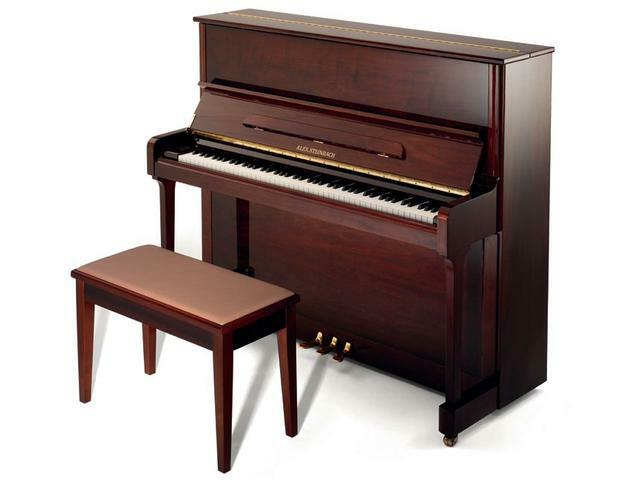 iQ pianos are fitted with the exclusive PianoDisc Silent Drive technology. This enables the piano to play by itself with the keys actually moving up and down before your eyes!